While the prospect of early retirement might seem like a great idea, putting it into practice might not always work out as expected. 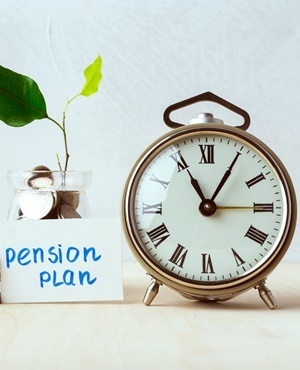 Research by Old Mutual suggests that just 8.3% of pension fund members have sufficient savings in their company retirement fund to be able to generate a pension of about 70% of their salary. That means most South Africans can't afford to maintain the same standard of living in their retirement years as their working lives - let alone retiring early, says personal finance expert at Old Mutual, Tristan Naidoo. "South Africa unfortunately does not have a strong savings culture," he says. Retiring early means you have to consider two critical elements, Naidoo notes. 1. You will have less time to accumulate your retirement savings. 2. The capital you have must last for a longer period. "If your retirement savings are sufficient, early retirement will be a great option for you. Unfortunately, making a wrong decision during this stage can have severe consequences," warns Naidoo. 1. Get advice - Financial advisers can help you make sound investment decisions and grow your retirement income. In short, they can work with you to determine how much capital you will need to retire comfortably, by taking your unique circumstances into account. 2. Set goals - Get a clear, realistic picture of what you want your life to look like post-retirement. 3. Weigh your options - These may include traditional retirement savings vehicles, like pension funds invested via one's employer, or a retirement annuity invested through a financial services provider. These options should be carefully weighed, as they impact how much money you will have every month after you retire. 4. Take action - Decide on an appropriate financial plan and commit to it. Start today, even if you’ve left it a bit late. 5. Review and update - Revisit and update your retirement plan at least once a year with an adviser to make sure your investments are aligned to your goals, and that everything is on track. 6. Understand the tax implications - Your savings options will have tax implications, both during the investment term and upon utilisation at retirement, says Naidoo. Unpack and understand the tax implications of all your options.